We love smoothies! They’re delicious, full of vitamins and minerals, and a sneaky way to get my toddler to get in his daily fruits and veggies (he won’t eat anything green unless it’s a pickle). We went to our local farmers’ market in Port Royal, SC and found some fresh beets to put in our smoothie. Beets are super underrated! They’re a good source of folate, vitamin A, vitamin C, magnesium, calcium, manganese, and other vitamins and minerals. They’re so versatile and sooo delicious. Plus, who couldn’t love that wonderful dark pink color?! 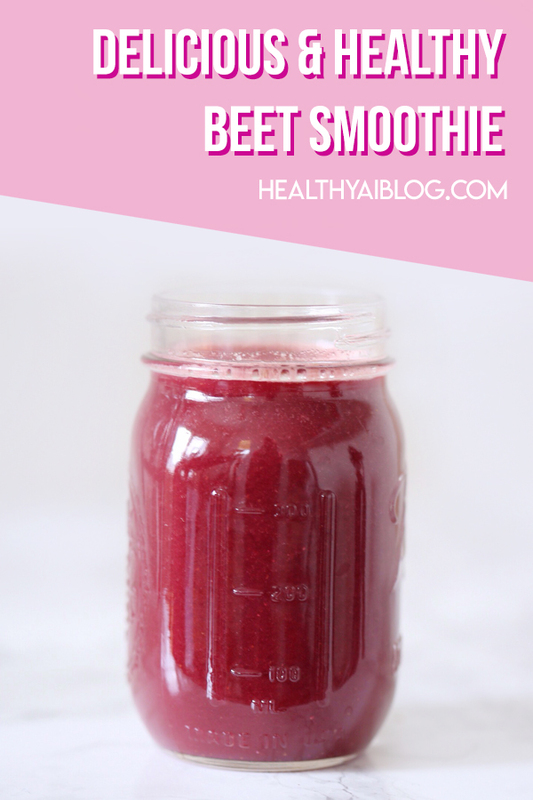 Anyways, here’s a quick video with a quick and easy beet smoothie. If you’re not too keen on videos, just scroll down and the recipe is there too. Enjoy! Put all ingredients into blender and add water, juice, or coconut water. Blend under you reach desired consistency (I blend until the bananas are completely unrecognizable because I can’t stand the texture). Pour into glass and enjoy! PS: With any fruit/veggie smoothie, if left for a while, separation is completely normal. Just give it a quick shake or stir, and it will go back to the right consistency.